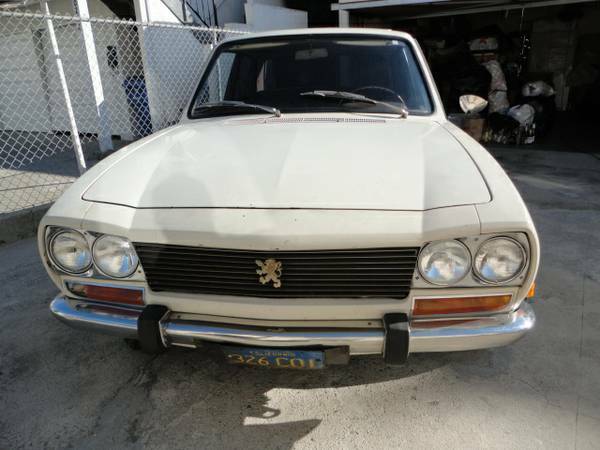 As you’ve seen in previous features, and in spite of its obscurity here in North America, the Peugeot 504 should be awe-inspiring to you since its longevity is equivalent to Mercedes W123 and Volvo 140 and 240-series cars. What’s more is, they managed to design in that French comfort unparalleled by any other manufacturer in its class. Sure, Volvos have great seats, and those firm Mercedes seats will hold you for hours without causing discomfort, but neither of those can truly coddle you while still providing excellent handling. 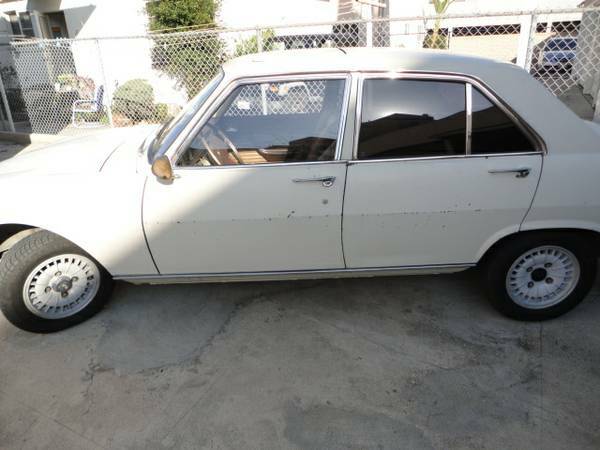 You can find this 1970 Peugeot 504 sedan for sale for $2800 in North Hollywood, CA. 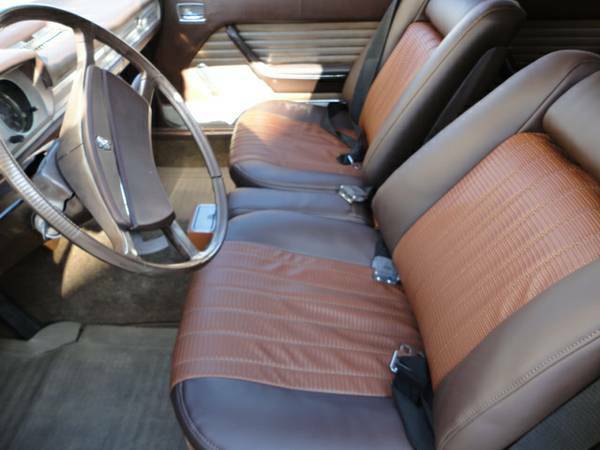 Oddly, this car is also available under an identical listing for $4500 – which price would you rather pay? It looks very original, well-preserved by the dry southern California climate, but has clearly suffered a number of door dings from being parked next to a careless neighbor/spouse. At this point, though, it’s all part of the story, so if you can still coax a shine out of the paint, it might be just fine the way it is. It’s unclear whether this is a carburetted or fuel injected model – the new-for-1970 four cylinder put out 96hp with a carb, and 8 more horsepower with fuel injection. Forward motion is achieved via a column-shifted four speed transmission. In 1969, the 504 was recognized with the European Car of the Year award. This early 504 should have strut suspension at the front, and semi-trailing arms at the rear. Rack and pinion steering along with front discs contributed to sure-footed handling. It’s a pretty smart-looking car, and the angled panels over the headlights make it look aggressive, even angry. The Peugeot 505 (or 504 coupe) wheels suit the car well, and 8-spoke wheels from a mid-1980s 505 turbo look even better, with the Dunlop alloys being most desirable. The car is said to be a reliable daily driver, which is the best shape in which to buy an obscure older car. The interior features a sunroof (or is that the exterior? ), new upholstery, and a new headliner. Those magical seats have an interesting upholstery pattern – is it close to what was originally specified, or the seller’s own find? It definitely looks right for a car of that period. 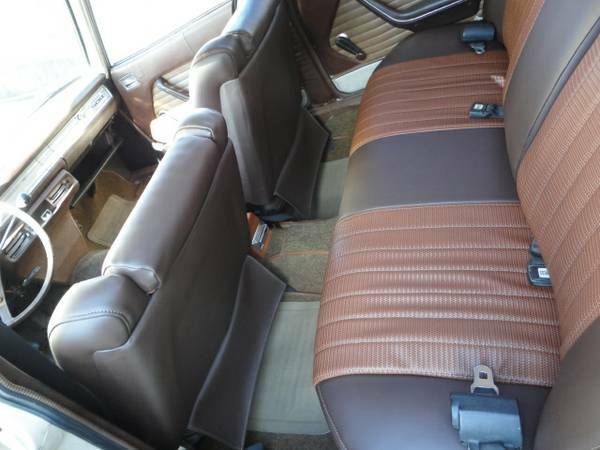 Also of note, the headrests seem to roll down into the top of the back rests, as seen in some older Italian cars. The steering wheel shows some cracking, but what is visible of the dash looks to be in good condition. The daily driver status, serviceable paint, reupholstered interior, and the 504’s reputation for durability mean this should make a great tourer for low-budget rally events. Given this car was so ubiquitous in Europe, and competed in period, there must be no end of inspiration for themes to apply to this basic white canvas. What would you do with it? This entry was posted on April 16, 2014 at 9:48 pm and is filed under Feature. You can follow any responses to this entry through the RSS 2.0 feed. You can leave a response, or trackback from your own site.